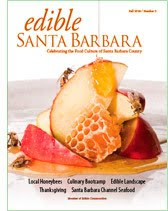 This past Thursday kicked off epicure.SB October 2009, "a month to savor Santa Barbara cuisine, libations, and culture." It was a feast for the senses, looking at Fran Collin's photographs of chefs, kitchens, and local food on display at The Book Den, sipping local-brewed ale from the Telegraph Brewing Company, tasting the most exquisite avocado blossom honey from San Marcos Farms, and learning about cold-brewing coffee at The French Press. If you live in Santa Barbara, October stretches before us with a bounty of food festivals and tasting events! Some of the events are ongoing throughout the month, such as the 31-day "Eat Local" challenge (you'll realize how diverse and plentiful the offerings are in Santa Barbara, support local business, and reduce your carbon footprint! 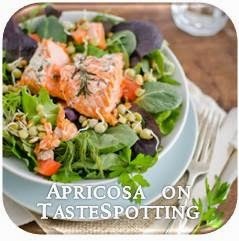 ), or restaurant "local spotlight" tasting menus at Coast, Downey's, Olio e Limone, and others, or art gallery shows featuring food-inspired paintings, mixed-media, photography, and more! Then of course are the festivals, such as the 23rd Annual Avocado Festival this weekend in downtown Carpinteria. You can learn about the history of avocado farming in the area, vote for your favorite guacamole, and sample interesting avocado concoctions like avocado ice cream from McConnell's and beer-battered avocado (pictured below). Next weekend stop by the Santa Barbara harbor for the annual Harbor & Seafood Festival. You'll enjoy looking over the fresh local catches, watching cooking demonstrations, and eating lobster, crab, and uni (sea urchin sushi)! Many more fun happenings are planned for the month, so check out the calendar of events and join in the celebration! I just came across this season's issue of edible Santa Barbara, pictured at left, and loved reading more about the abundance of food and wine that comes from our land! No gelato maker? Try a semifreddo!